For my fashionista friends (or aspiring fashionistas?? 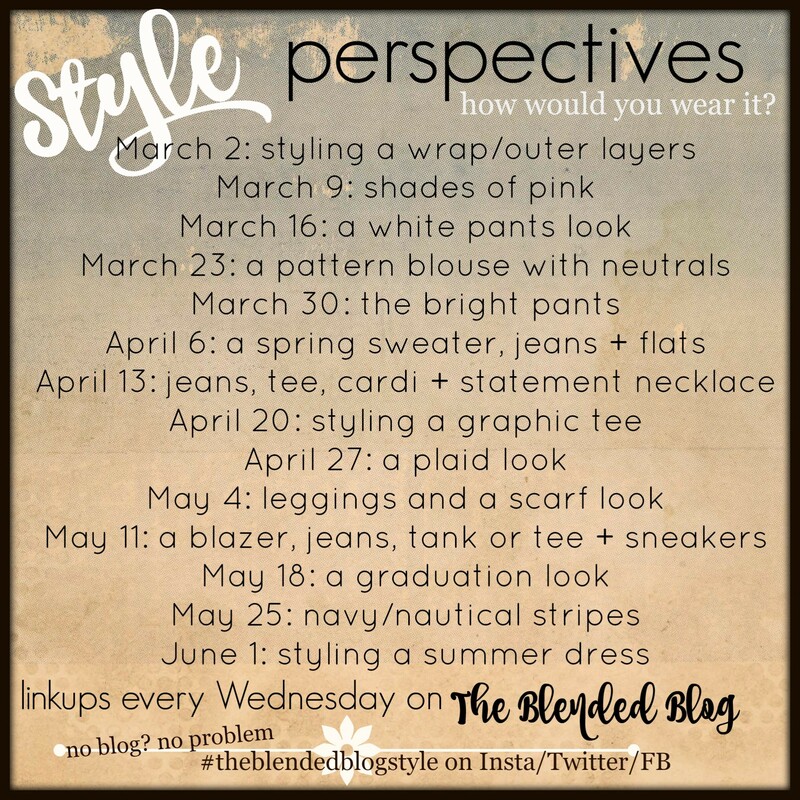 ), beginning in March The Blended Bloggers are starting a new style series. Each week a different contributor will share her version of the prompt. The rest of us will use that same prompt and showcase her version of it. That way you’ll get to see 15 different perspectives of the same outfit. You should be able to get LOTS of ideas on how to wear certain pieces and how to shop your closet. We each have our own style so you’ll be sure to find something that resonates with you! Doesn’t it sound fun?? If you are a blogger, you can come join us for the link up over on The Blended Blog! If you don’t have a blog, it’s not a problem. You can still join us by sharing your outfit on Instagram, Facebook or Twitter. Be sure to use #theblendedblogstyle so we can find each other! Below are the prompts. Be sure to pin or save the image so you can join us every week!